Researchers found that 64 percent of mental health apps claimed efficacy, although only 14 percent included any evidence. There are scores of mental health related digital tools available on any of the major app stores. However, a recent study published in Nature Digital Medicine found that a majority of the apps studied do not provide evidence or peer-reviewed studies to back up their products. Researchers found that 64 percent of the apps they coded claimed effectiveness at diagnosing a mental health condition, or improving symptoms, mood or self-management. Many used scientific language (44 percent) and supporting statements (64 percent) to make their claims. However, only 14 percent described a design or development involving lived experience, and none referenced certification or accreditation processes. Only two out of the 73 apps studied provided evidence from a study using the app. Additionally, the specific technique used to make claims was described in 33 percent of the apps. Researchers identified a total of 1,435 mental health apps available in app stores. The team then screened 350 of those apps for eligibility, with the top 10 ranked apps for each mental health search being considered. The study's independent coders then decided which of these to include or exclude, and eventually landed on 73 apps to use in the final analysis. With the dearth of trained mental health professionals worldwide, many are turning to digital health tools to tackle this gap. However, researchers in this study noted that oftentimes patients are seeking these tools without the guidance of professionals. “Although there is an increasing interest in accreditation processes, app libraries and frameworks to support clinicians in recommending mental health apps, personal searches on commercial app stores operated by the major smartphone platform providers remain a common method for discovering mental health apps,” researchers wrote. But not all apps have gone through the same validation process. In fact, the same researchers conducted other studies with similar findings. “A preliminary investigation by the authors previously reported that, for apps clinically relevant for depression, 38 percent of app store descriptions included wording related to claims of effectiveness, whereas only 2.6 percent provided evidence to substantiate such claims,” researchers wrote. Aside from validation, patient usage has also been another hurdle for mental health apps. 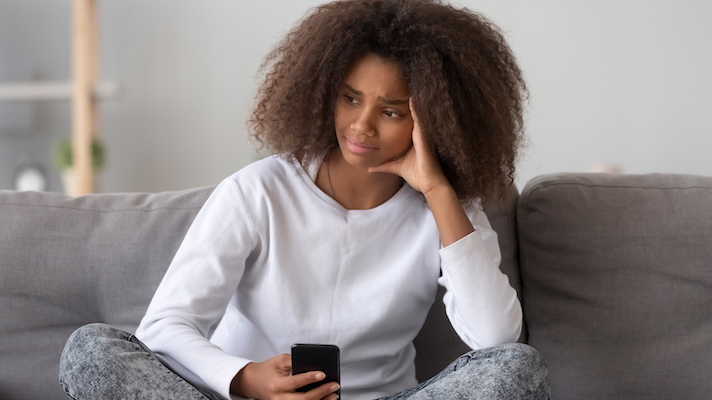 In November a study published in JMIR Mental Health found that despite the growth of smartphone ownership in recent years, the use of mental health apps among patients remains low.